Best Foods For Fertility - delicious recipe inside! Best Foods For Fertility + BEST vegetable soup recipe! I have done it! 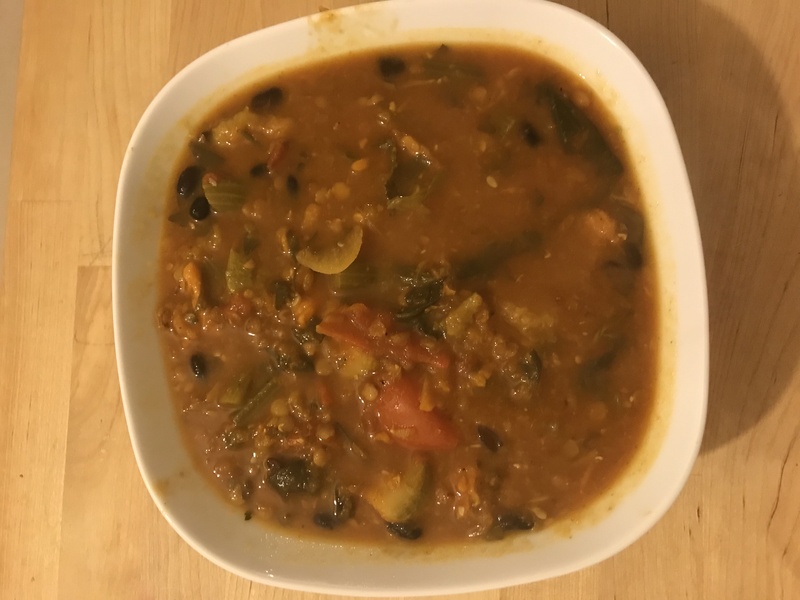 Mastered the ultimate vegetable and bean soup recipe. This recipe is full of some of the BEST foods for fertility. Packed with iron, protein (plant protein, which is the best for fertility), lycopene, zinc, folate, antioxidants and so much more! As I returned from my 4th IUI today, I knew that tomorrow I may not feel amazing and this soup is so hearty, it will put a smile on anyone! If you have PCOS, like me - it's a great slow releasing carb recipe! Don't overthink when you are cooking, have fun! I don't even measure so I will do my best to give the most accurate amounts as possible. When I want to make soup, the food comes before the recipe. I go have fun at the supermarket and pick out what I'm feeling. Try that sometimes too! Make this easy - chop all the vegetables into big cubes. Leave the garlic cloves whole (just peel the skin). Peel the onion, chop in half. Heat coconut oil in the pot, add everything (including spices) except the herbs. Also, use the leaves of the celery, it's a great addition! Cover veggies with boiling water. Basically just top to a few inches under the rim of the pot. Cook for 25 minutes, add the basil, parsley. Cook for another 35 minutes, or until the lentils are cooked. Add additional spices and seasoning depending on what flavors you like. Me: Shai, how goods the soup. Shai: Do you know what stinks? Not sure that's a great answer and if she enjoyed the soup, feeling it's a no. But I swear it's delicious. P.S - share this with friends, they will love it!